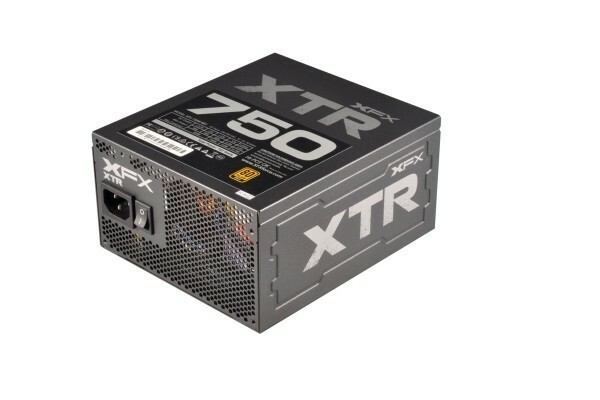 Designed for serious gamers and DIY professionals, the XFX XTR Series 750W Full Modular 80 Plus Gold power supply delivers the clean and stable power required for demanding gaming rigs and workstations. A single strong 12V rail flexibly routes the maximum available power to the parts, enabling you to maximize power usage and making setup easy. Our New Double Sided PCB and SolidLink design drastically reduce the wires inside the PSU which improves efficiency. Other PSUs have numerous wired internal components, which generate heat, wasting energy and decreasing efficiency. TTS features our hybrid mode, which when activated, allows the PSU to operate silently until it reaches 25% load or 25°C. Our fluid Dynamic Bearing Fan lower noise consistantly over long periods of operation and lastly our new digital IC extends fan life by adapting accurate detection and eliminating unnecessary fan rotations when turning on/off.